When people are looking for a new SUV, the Honda CR-V is a popular choice; however, the 2018 Volkswagen Tiguan has so much more to offer, thanks to its precision German engineering and dedication to quality. For your convenience, you can see how these two vehicles compare to each other here; learn more about each one and see the advantages that come from owning a genuine VW vehicle. When you're ready to take the 2018 Volkswagen Tiguan for a test drive, come by 5202 Leary Avenue Northwest, Seattle, WA 98107. When it comes to design, the 2018 Volkswagen Tiguan is truly stunning. 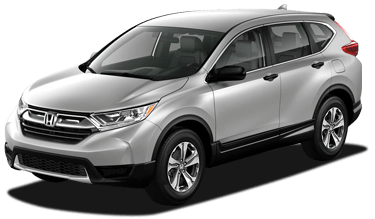 Its clean, European design doesn't just look great: it also offers greater passenger volume and standard roof rails (roof rails are available on the 2018 Honda CR-V, but only as a more expensive upgrade). What's more, VW truly stands behind the quality of design: the 2018 VW Tiguan has a bumper-to-bumper warranty of 72 months or 72,000 miles (whichever comes first), while the 2018 Honda CRV has a bumper-to-bumper warranty of only 36 months or 36,000 miles. The 2018 Volkswagen Tiguan comes standard with truly exceptional performance. It's powered by a 2.0L TSI® turbocharged engine that puts out 184 horsepower. The engine on the Honda CR-V has the same horsepower, but it only puts out 180 pound-feet of torque; the engine on the 2018 VW Tiguan generates an astonishing 221 pound-feet! Volkswagen also stands by the quality of the 2018 VW Tiguan: the 2018 CR-V has a powertrain warranty of only 60 months or 60,000 miles, but the 2018 Volkswagen Tiguan has a powertrain warranty that covers 72 months or 72,000 miles! Safety is one area where both the 2018 Volkswagen Tiguan and the 2018 Honda CR-V pull through. The high-quality safety cage construction of the 2018 VW Tiguan--and the Intelligent Crash Response System (ICRS) can turn off the fuel pump, unlock the doors, and activate the hazard lights if you're in a collision that deploys the airbags. These are just a couple safety features that the new Volkswagen Tiguan holds over the Honda CR-V. Come find out more about the 2018 Volkswagen Tiguan at Carter Volkswagen, and prepare to be impressed with its safety, quality, and all-around fun. German engineering is renowned around the world for its high quality and expert precision, and Volkswagen is a shining example of this renown. This precision engineering hasn't just earned Volkswagen plenty of prestigious industry awards: it's what enables new VW SUV models to have America's best SUV bumper-to-bumper warranty: 6 years or 72,000 miles (whichever comes first)! With features like Tiptronic® transmission, Volkswagen Car-Net® App-Connect, and Climatronic® automatic climate control, VW vehicles are powerful, comfortable, connected, and safe. There's so much more that sets Volkswagen apart from the competition; come learn more at Carter Volkswagen, serving Bellevue and Renton.